Imagine dipping a coconut macaroon into iced coffee. Do you like piña coladas? Getting caught in the rain? In other words, if you like coconut milk, coconut water, or anything made with coconut, prepare to go (coco)nuts over Starbucks’ latest creation. Inspired by a bite-sized honey coconut candy from the Dominican Republic called jalao, the drink is made with a base of Starbucks' classic cold brew sweetened with toasted coconut syrup and a creamy coconut milk float. 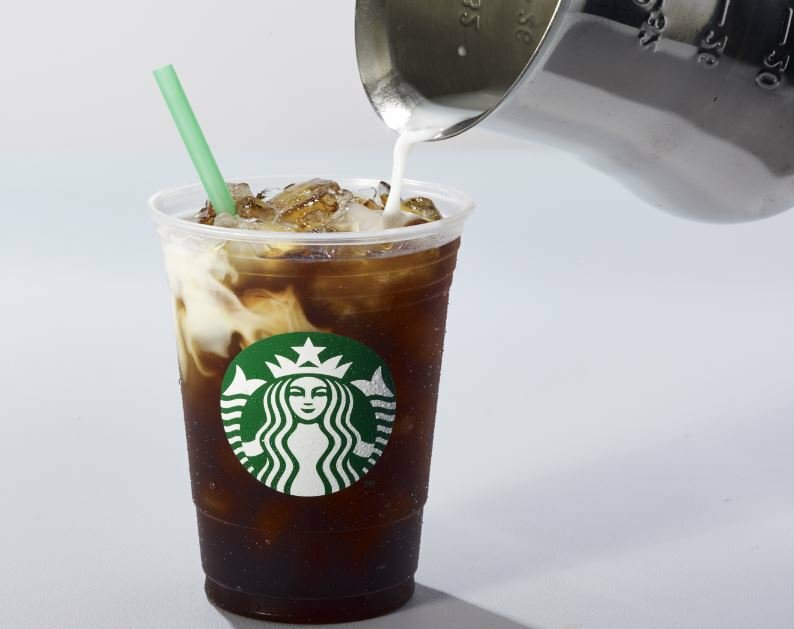 The beverage will join the brand’s Nariño 70 Cold Brew (black cold brew) and Vanilla Sweet Cream Cold Brew (Nariño 70 cold brew topped with vanilla sweet cream). We’re big fans of the store’s cold brew formula, which they recently started bottling and selling in supermarkets. Coffee beans are soaked in cold water for 20 hours, resulting in a highly caffeinated brew with zero bitter flavor. It’ll cost you a few more dollars than regular iced coffee, but if you like smooth and robust, this joe's for you. It’s full of dark chocolate notes which pair naturally with the flavor of toasted coconut syrup (a match made in paradise, if you will). Toasted Coconut Cold Brew officially hits stores across the US and Canada on April 4th. And if you want a taste, hurry in. Like spring break, it’s only here for a short time. If you don’t catch it, ask for coconut milk with your iced coffee; or, for a sweeter option, try the Coconutmilk Mocha Macchiato.